Summer time…sugar time. Summer is a great season to indulge in an organic sugar scrub treatment. This treatment is based on a dry brushing technique that helps exfoliate the skin. During the exfoliation process, the top layer of dead skin is gradually removed by rubbing the organic sugar scrub against the body. Following the exfoliation process, a steam shower is taken to remove the sugar scrub. The treatment concludes with a quick massage to hydrate the skin. By treating your body with an organic sugar scrub, you are improving your skin’s function. The skin becomes much healthier in function and appearance. By eliminating dead skin, the body is able to work more effectively to remove toxins and absorb nourishment. This treatment also leaves the skin with a youthful glow. 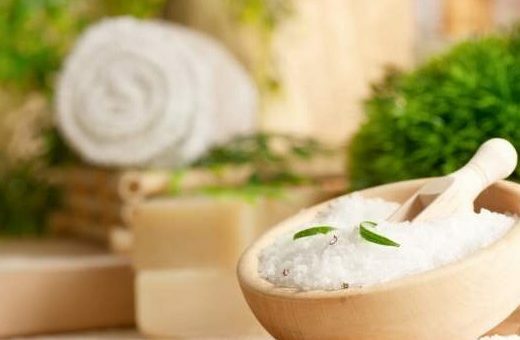 After reading about all the amazing benefits of receiving an organic sugar scrub treatment, mention this blog post to receive 20% off your treatment. This promotion is only valid until end of August. *Try this treatment with a 50 minute massage afterwards to get the ultimate relaxing experience! !